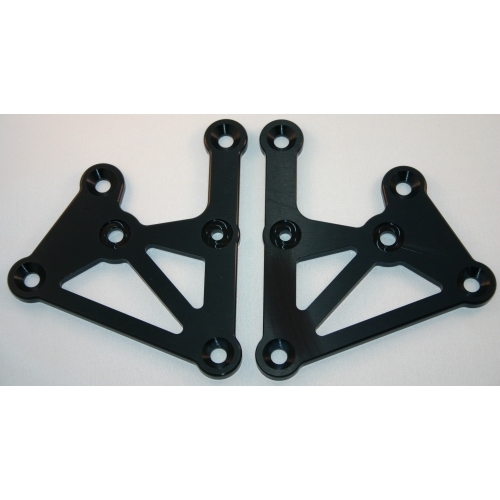 Replacement linkage plates for 2002-2005 Balfa BB7 Frames. These plates are thicker than the original Silver plates and offer far greater support around the bolts which had a tendancy to ovalise. These plates are hard anodised Black in order to prolong life and appearance of the plates. The main pivot bolt hole has been increased to 8mm to work with our updated main pivot axle.